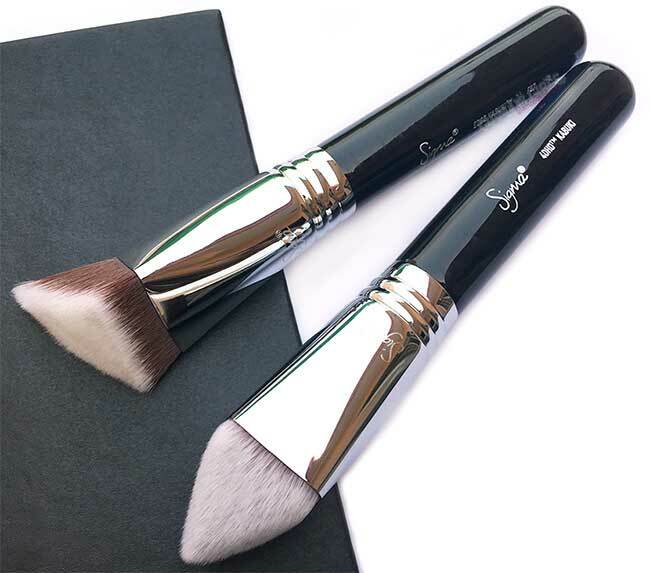 Today i am back with Sigma Beauty dimensional brushes volume two including 4DHD Kabuki and F87 Edge Kabuki face brushes which are going to release today 22 August. I have shared volume 1 of these dimensional brushes which included 3DHD Max Kabuki and F83 Curved Kabuki. Aren't these brushes unique and stunning? They are love at first sight and if you are makeup lover you definitely need these in your life. So let's explore them a little more. The 4DHD™ Kabuki is the concealer brush you didn’t know you needed. The dense, super soft kabuki comes to a point that blends out under eye concealer perfectly and will diffuse cover-up on spots, crevices and scars. The sides of the pyramid shape can be used for larger areas and to press setting powder into place. Patent pending. The F87 Edge Kabuki™ is dense, soft and particularly angular offering edge to edge coverage when applying concealer, foundation or setting powder. The unique angles allow control and precision for getting into hard to reach areas, and the ﬂat surface is ideal for blending and placing setting powders. Also, great for stamping out your highlight and contour. Patent pending. 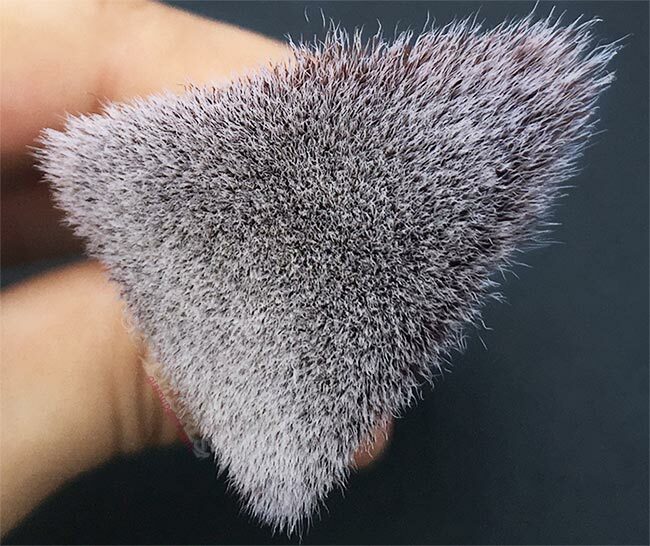 Both brushes are bulky like their other kabuki brushes with 4DHD having 4 dimensional shape and F87 Edge have triangular shape fully packed with soft bristles. Both brushes have very different shape from their previous dimensional and other kabuki brushes. 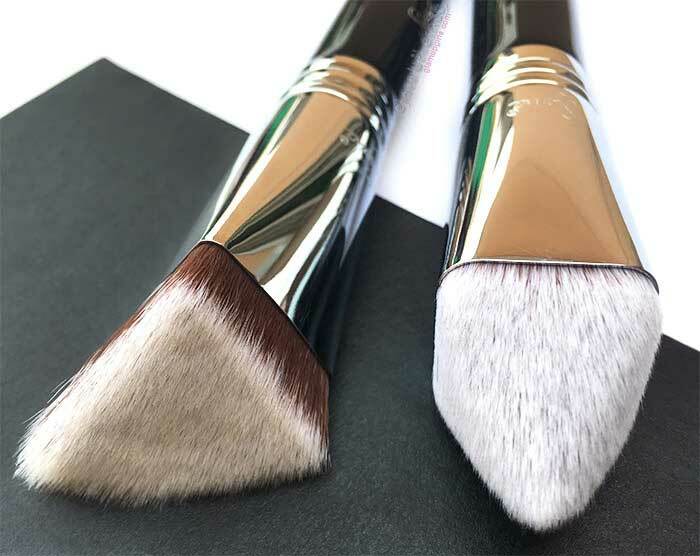 Where the volume 1 of dimensional brushes focus on foundation and contour application, these brushes focus on applying concealer and setting powder to sharpen and define. The 4DHD brush has become one of my most favorite brush as it blends under eye concealer like nothing else. The bristles are slanted at four sides and provide a higher edge at center which will reach the areas on face where no other brush reaches. The fully packed soft bristles gives you perfect grip to blend concealer without streaking. You can pat lightly to get full coverage or blend with little strong hand for medium coverage. As under eye concealer should be applied in triangle shape, this brush help you blend it as it is. It is also suitable to apply and blend concealer around nose or other small areas to hide flaws. Where flat concealer brushes leaves streaks on creamy concealer, this brush blends it flawlessly. 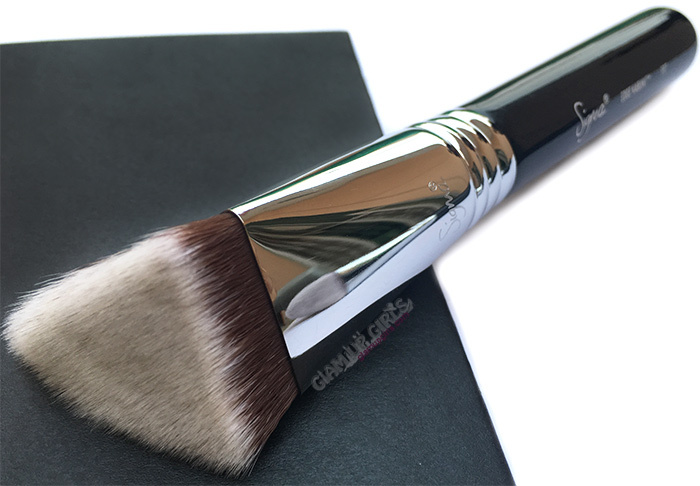 F87 Edged brush is one other amazing brush which is perfect to apply setting powder. The bristles which are packed in little slanted edge at one side of triangular form helps you apply and blend powder effortlessly. 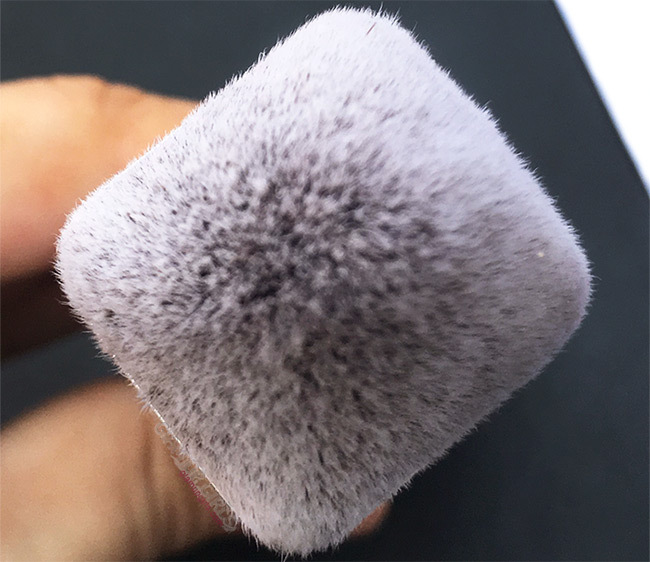 After setting concealer with 4DHD, you can apply yellow loose powder with this brush. For setting the creamy texture pat powder with this brush which will keep your concealer ceaseless for very long. 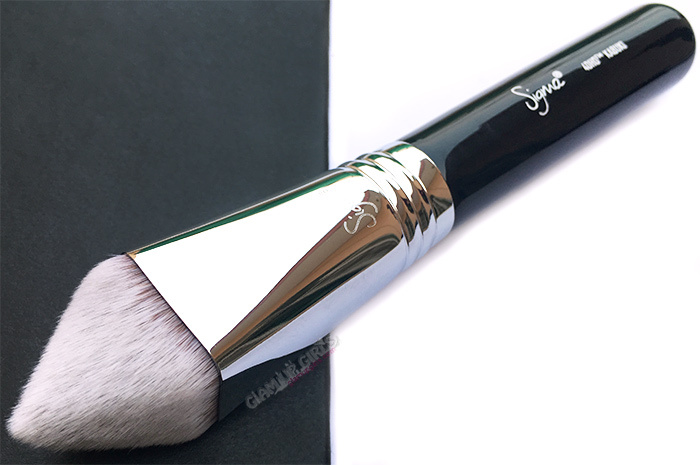 This brush is also suitable to apply highlighting powder on jawline, nose and forehead. It is far better then dome powder brush and gives you precise access to all area of face. With high quality and unique designs these brushes are definitely life changing for makeup lovers. They help you get flawless blending and are better then sponge blenders which needed to be changed after few months.